Other features include optional logging, integrated proxy list updates, domain blacklisting, and an option to act as gateway for other computers. Installing this program on your system can be done effortlessly, as it requires you to perform little to no configuration while setting it up. Thanks to its smooth, user-friendly interface that packs several straightforward features, you can operate its functions conveniently. However, you need to have advanced computer skills and a good understanding of network security related concepts so that you can benefit from its functions entirely. Simple DNSCrypt enables you to encrypt your DNS traffic, thus increasing both your privacy and security by preventing others from listening to it. This can be achieved by enabling the primary resolver and, if you want to increase your security, enable and configure the secondary resolver, as well, by toggling the corresponding switch. Therefore, the application provides you with a 2-layered encryption. Configuring each of the resolvers can be done by selecting your favorite server from the combo menu, according to your preferences. Accessing the Advanced Settings section enables you to customize various parameters, such as toggling the Global Resolver module, enable TCP over UDP if you want slower speeds and also access a plugin manager. The plugin manager makes it possible that you can disable waiting responses for IPv6 addresses upstream, thus speeding up your web browsing. 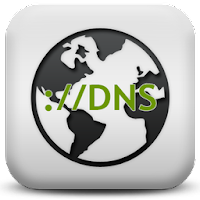 Also, you can opt to log the DNS queries that the proxy receives and save them to a local file.